1) CS540 – One of our newest wireless office headsets that offers further range than Plantronics older models. You now get up to 350 feet instead of 300 feet. 2) CS55 – The work horse of the industry and still one of our most popular wireless headsets with its convertible style headset and 10 hrs of talk time. 3) CS70N – An earbud-style headset with a comfortable all-day wearing style. 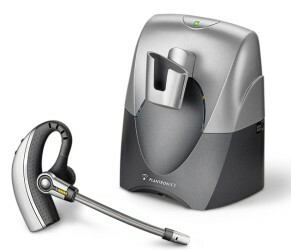 4) CS55/Hl10 – The CS55 is bundled with the Plantronics HL10 handset lifter. So with one click you will have your complete wireless system added to your cart. 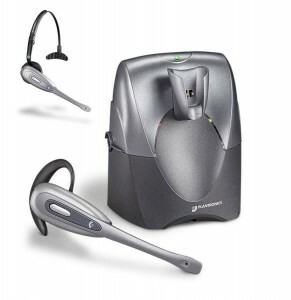 5) W740 – Another new wireless office headset from Plantronics. The new W740 replaces the Plantronics Savi WO100 with its the new and improved upon features, it is better than ever. This headset now offers Bluetooth. Pair any of your Bluetooth devices to the base and you now have one headset for three different applications.